I did not know this, but apparently, some humans create dangerous drugs in their homes. When they do this, there are many chemicals around that can cause fires to accelerate. Humans, felines, and canines who are caught in those situations can be badly hurt before they can escape. That is what happened to a feline named Asher. 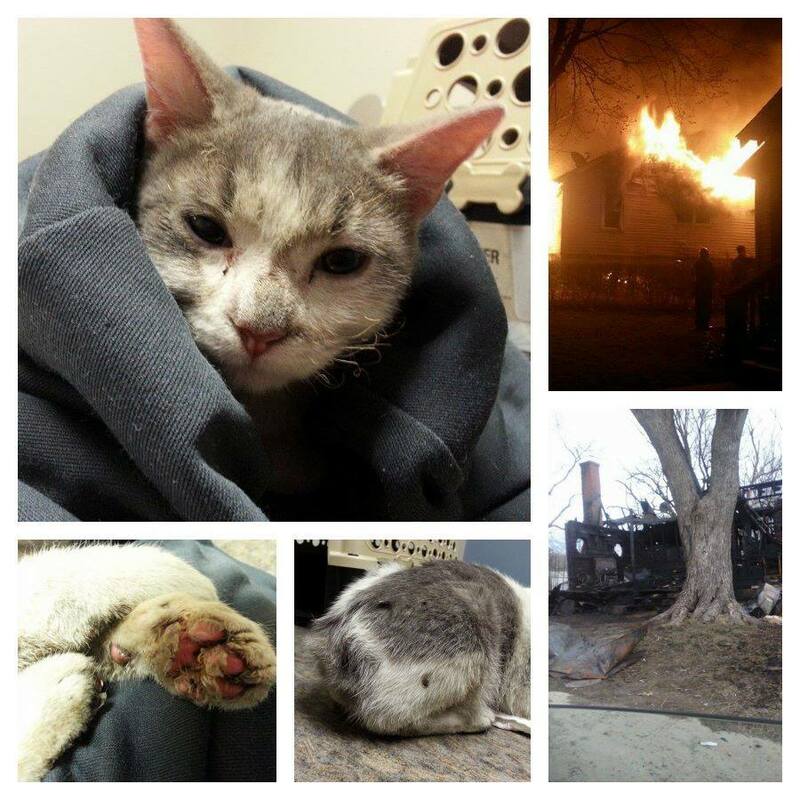 His cat rescue story started with a very brave and kind human noticing a big fire in a suspected meth lab. This human knew that there were animals in the home, and wanted to rescue them. Discovering that the front door was locked, they went to the back door. Just then, an explosion blew out the front door. The force of that explosion threw a cat out of the home and down the street. 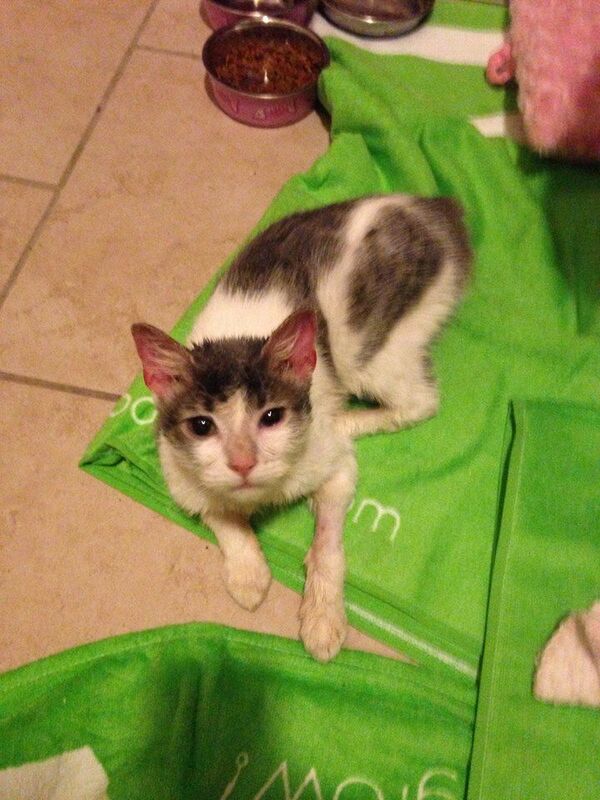 The very frightened cat ran into a yard, where it was quickly surrounded by downed power lines. And the human who carried out this cat rescue risked serious injury to get to the cat and clean foam and drool from it. Sadly, the other animals in the home perished in the fire. But this feline, named Asher, was taken to the humans in white coats for care. His care was paid for by the St. Louis Feral Cat Outreach, and he made his way to Tenth Life for the extensive care he will need to recover. Not surprisingly, the next step in Asher’s cat rescue will take place with Tenth Life’s most famous alumni, Lincoln, right by him. He has gone to Lincoln’s home where he will receive special care from Lincoln’s human! Asher is handling his recovery like a champ. He is nomming, breathing normally, and the pain medications are helping him from being too uncomfortable. The burns on his ears and paws are healing, and he is coming along quite well. I have no doubt that Asher’s cat rescue will end with him going to a good furever home, and that Lincoln, Tenth Life, and Lincoln’s human will be there every step of the way. But do not forget that this cat rescue started with a very brave human putting their safety at risk to save a tiny feline!